With the support of the Free Press Media I’ve organized innovation breakfasts during 2014. National innovation gurus have talked with and inspired us. At the end of each, we’ve included short hands on workshops that make people “do” and not just “think.” Along the way, the professionals attending have given some interesting feedback. The top things they asked for were more practical tools, more in-depth training, and techniques they could apply with minimal effort. 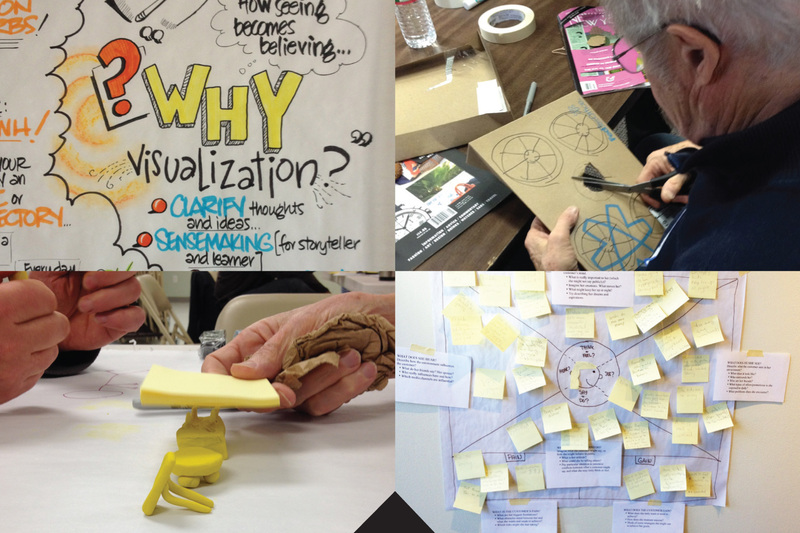 Heeding that feedback, I’ve created a Design and Innovation Workshop on Feb. 6. It’s full day, hand on experience in human-centered design, also known as design thinking. It’s a process used by some of the most creative and innovative companies in the U.S. In the workshop, people will learn how to delve into and understand customer needs and insights. 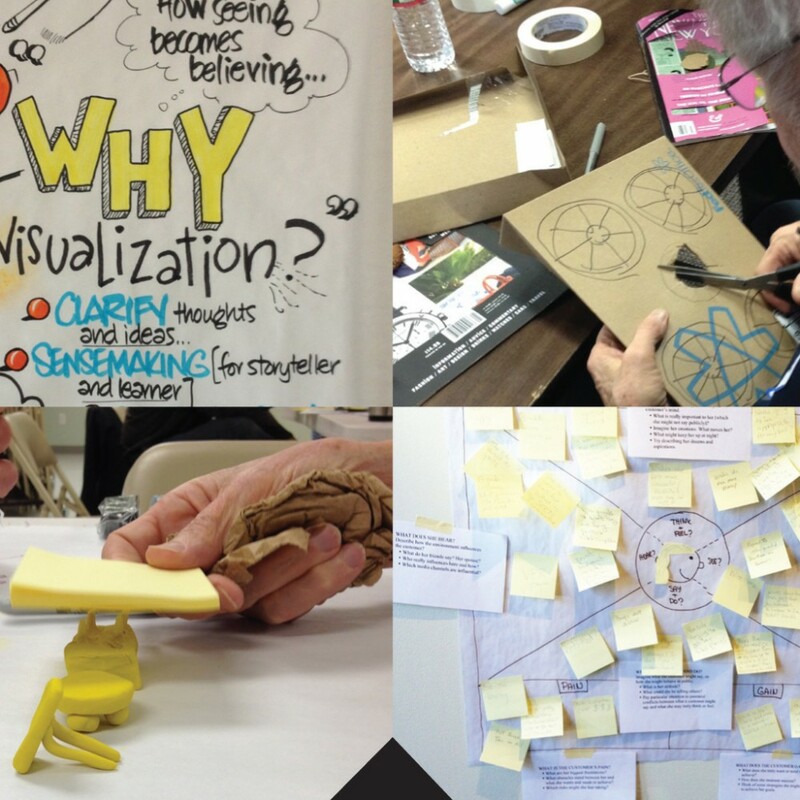 Attendees will practice techniques to reframe opportunities and to develop creative and inspiring ideas. Finally, we’ll help people move those ideas to reality through prototyping and testing and provide techniques on how sell those ideas. It’s hard to implement change in most organizations. Some have “innovation” initiatives that primarily consist of reading articles. I’ve met organizations where a customer-centric approach meant doing bi-yearly Web surveys. Sadly, those efforts rarely lead to change or innovation in the way organizations operate. There is a trend today of large corporations buying up design firms that practice human centered design in an attempt to shift their corporate culture to an innovation culture. Capital One recently purchased experience design firm Adaptive Path and likewise Accenture gobbled up service design firm Fjord. Venture capital giant Kleiner Perkins hired design expert John Maeda from RISDI to embed design into their practice while Google Ventures in Europe lured leading design thinker Tom Hulme from IDEO to do the same. IBM is building up its design team to over 1,000 people while selling off the chip production facility here in Vermont. What these business leaders have realized is that for the internal culture to change, people need to change the way they work together. The Design and Innovation Workshop is one way for Vermont businesses to start that process. It is much smaller than our typical events in order to allow people to practice solving problems creatively and collaboratively. I’ve designed this workshop with the help of a colleague on the West Coast who works for Steelcase, the former owner of IDEO, and with a recent instructor at the Stanford d.school. The workshop attendees will work in small teams through a variety of design thinking tools and techniques on a real world challenge. Most importantly, people can take those tools and techniques back to their place of work and use them right away. As usual, the Free Press Media is my co-sponsor in its ongoing commitment to innovation and creativity in our state. You can find out more about the Design & Innovation Workshop at http://vtdesignworkshop.eventbrite.com.